Why is Derby called “The Run for the Roses”? The red rose is the official flower of the Kentucky Derby. After winning, the victorious Derby horse is draped with a garland of red roses. The floral blanket carries the same symbolism as a winning crown. It is said New York sports columnist Bill Corum was the first to refer to Derby as “The Run for the Roses” in 1925. Corum later became the president of Churchill Downs. His Derby nickname, like all good pet names, stuck. And, it's worth mentioning, the horses aren't the only ones who get fancy. Who takes the Kentucky Derby trophy home? How fast do the horses run? What is the song everyone sings when the horses are led to the starting gates? “My Old Kentucky Home,” written by Stephen Foster in 1853, was established as the state song of Kentucky in 1928. The song is played by the University of Louisville Marching Band each Derby Day. Everyone sings along, from the crowds of Churchill Downs to revelers at Derby parties around town. Do fillies (female horses) ever win the Kentucky Derby? The day prior to Derby is Kentucky Oaks, also known as “The Lilies for the Fillies.” Only fillies run in Oaks and the winning horse is draped with a garland of lilies. But that doesn’t mean fillies are out of the running on Derby Day. Some fillies strong enough to compete against the boys on the first Saturday in May. That said, in the history of the Kentucky Derby, only three winners have been fillies; Winning Colors in 1988, Genuine Risk in 1980 and Regret in 1915. Do people consume alcoholic beverages at Derby? Yes! 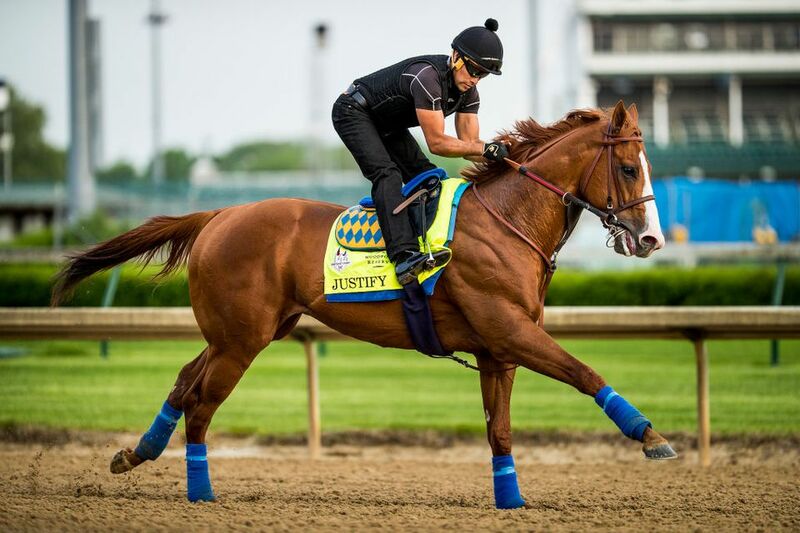 In 2012, over Derby weekend (meaning the race days of Kentucky Derby and Kentucky Oaks combined), Churchill Downs sold approximately 120,000 Mint Juleps and around 425,000 cans of beer. That is a lot of drinks. Is Derby always held on hot days? Not necessarily. The Kentucky Derby takes place the first Saturday in May, whatever the weather may be. It is usually summery and pleasant but, of course, there have been exceptions. In 1959 the temperature was a balmy 94 degrees and in 1935 it was a chilly 47 degrees. Who was the youngest jockey to win Derby? In 1892, Alonzo "Lonnie" Clayton rode Azra to the finish line and won the Kentucky Derby. Clayton was 15 years old. The rules of the game have changed; you now have to be 16 years old to obtain a racing license in Kentucky. So, unless the rules change again, Clayton will hold the record indefinitely. Millionaire’s Row is composed of two seating areas, Millionaire Six and Millionaire Four. Rich and famous visitors are seen on each floor, taking in the Kentucky Derby. With a balcony view of the finish line, along with tables, food service, a full bar and many other amenities, it is the choice seating area for celebrities and heads of state. Past guests have included Queen Elizabeth II, Michael Jordan, Jack Nicholson, George Bush (both Sr. and Jr.) and Donald Trump. Extravagant and decorative hats are a fashion tradition for Derby-goers. It’s a fun and festive way to celebrate spring, keep the sun out of your eyes and look gorgeous. Traditionally, women wore the lavish hats, but more recently, men have gotten in on the fun, too. The hats are also thought to be good luck, and every bit of luck counts when you are at the track. Short on cash? Make your own Derby hat.